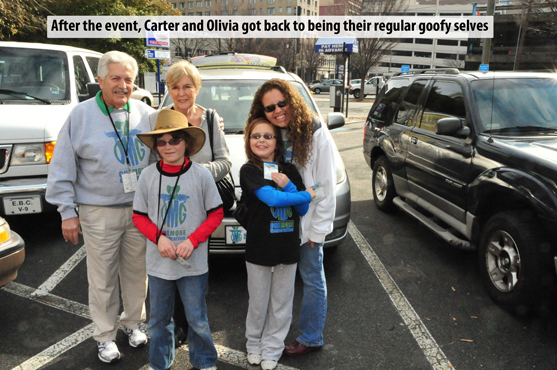 Olivia and Carter were invited to speak at the recent Salvation Army “Re-Effect” Conference in Atlanta GA. The invitation was extended to OMG by KooDooZ founder and Youthologist Lee Fox who conducted several workshops on “Changing The World Through Environmental Stewardship“. Also invited was Tyler and Laura Page who are the founders of Kids Helping Kids Leadership Academy, Inc. which is a unique organization that evolved with Tyler’s simple idea and big heart to raise $240 in order to keep one Ghanaian child out of trafficking into a fundraising and leadership movement for global transformation. In February of 2007, ten year-old Tyler Page got inspired while watching an episode of Oprah where he learned that children, just like himself, were being sold by their own parents into labor. Picturing himself in their shoes is all it took for him to leap into action. It doesn’t take much; for 1 child, it costs $20/mo x 12 mo’s = $240 yr. His goal was to raise enough money to save the life of one child for an entire year. The first fundraiser (a car wash) was so fun and successful that he decided to set his goal higher, to save the lives of 200 children for an entire year. Here is a little more about Lee Fox. Striving to create a virtual world that is also virtuous, Lee developed KooDooZ. 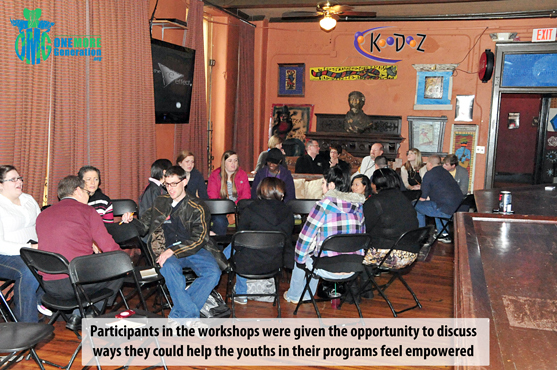 As the Founder and Chief Innovation Officer for KooDooZ, Inc., Lee’s mission is to spread the word about KDZ (“kids”) programs which are designed to teach youth how to innovate goals to help further a cause in partnership with for-profit and non-profit organizations. 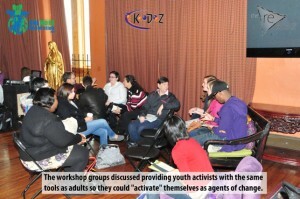 The Salvation Army invited Lee to come and conduct several workshops which would better equip their leaders and help them prepare for the immense opportunities todays youths have before them, an online forum where each user interaction forwards the development of humanitarian values and promotes philanthropic efforts. A passionate entrepreneur and humanitarian, Lee has enjoyed walking the tightrope of innovation at the intersections of technology, new media and entertainment where she has taken title of CEO (internet/mobile), VP of Marketing (professional services), Content Creator (brand management) and Writer (consumer TV). Lee actively sits on for-profit and non-profit boards and currently chairs the American Technology Association’s Los Angeles council. 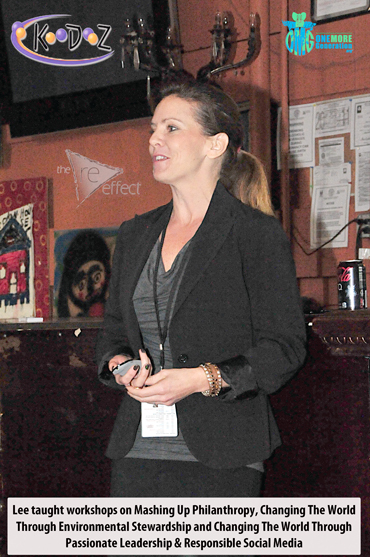 She also sits on council for the Santa Monica Boys & Girls Club and continues to volunteer, coach and mentor youth-led initiatives alongside her husband and three children. So what is the Salvation Army’s Re-Effect? The Salvation Army in the southern territory is looking for new ways to create and implement mission opportunities for both soldiers and officers. If we are to stay true to our calling as a movement, we need to take responsibility for the last, the lost, and the least within our communities. This responsibility extends to our soldiers as well as our officers and needs to carry on beyond an event, through relationships, dialogue, and living as a church without walls. The Salvation Army’s mission statement for the southern territory is for Salvationists to love, serve, and disciple. In keeping with this vision, the (re) effect equips Salvationists for mission through a (re)newed love for others, a (re)invigorated commitment to service, and a (re)kindled passion for discipling and training future leaders of The Salvation Army. With 1-in-4 Americans under the age of 18, youth is our country’s largest population group. Though kids of all ages want to help others, most aren’t given the opportunity to tackle world challenges. 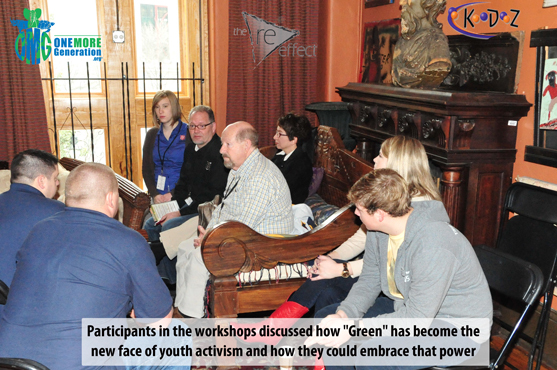 Youthologist Lee Fox will share examples of how non-profits can empower youth. Sustainability has crept up America’s cause-agenda, now higher than ever before. According to a recent CONE study, 70% of Americans pay attention to what companies are doing with regards to the environment. 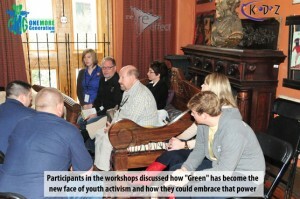 “Green” has likewise become the new face of youth activism. 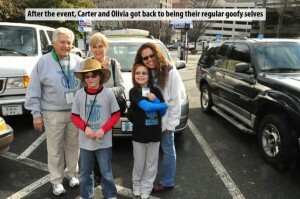 Learn what inspired tween siblings (Carter and Olivia) to start their own non-profit. Since starting their organization One More Generation (OMG), these two powerhouses have launched their very successful “Plastic Awareness Coalition” (which boasts over 50 supporting organizations) and their “Plastic Awareness Week” curriculum which teaches students about plastic pollution and provides them ways they too can make a difference in their homes, their schools and their communities. At their finger-tips, youth activists have the same tools as adults to “activate” themselves as agents of change. However, the risk of putting personal information “online” is formidable, and young agents of change need to understand how to protect themselves in an ever-evolving digital world. Olivia and Carter were asked to share with the audience how they got inspired to start their own nonprofit and how they went from trying to save endangered species to an organization which now also has a very strong environmental education program and has even provided humanitarian support in South Africa. As OMG progresses, we continually look for opportunities to get involved with being the solution to various issues. Our Plastic Awareness Week curriculum program has been adapted to allow schools nationwide the opportunity to feature cutting edge environmental education which offers immediate solutions to how we can all reduce our plastic pollution output. The Plastic Awareness Coalition continues to attract support from organizations both on a national level, as well as on a global level. We feel confident that with the strength of the coalition members, we will be able to start affecting change in numerous communities during 2012 and beyond. Olivia and Carter’s sincere commitment to everything they do was again apparent during the Salvation Army’s Re-Effect conference and we feel confident that our programs are something which will benefit each of the communities the Salvation Army serves. We look forward to partnering closely with them and have also invited them to be part of our Plastic Awareness Coalition. We wish to thank Lee Fox and all the members of the Salvation Army Conference Team for their support and for allowing us to share our passion and vision. Together, we can truly make a difference for at least One More Generation… and beyond.